Holiday apartment at the south coast of the Dalmatian island of Vir. This area of Vir is more quiet than the center of island and north coast facing island of Pag and magnificient panorama of Velebit mountains on the mainland. Our apartment is simply but functionally furnished, has all modern amenities. It can sleep 6 persons. Ideal is either 2 adults or a family of 4 with smaller children. Non-simultaneous exchange appreciated but not crucial. Best time to visit May to October. The selection of activities available is very wide - of course the main is swimming but you can also use our 2 mountain bikes to explore the island, you can do long walks along the sea, use our boat in case you posses boat license. We are Maryna and Jan and have met over 12 years ago. We are in our mid fifties and both love travelling, trekking, skiing, bycicling, music, good food and wine. On top of that Maryna is very fond of movies and theatre so Jan starts to learn more of this as well. The apartment offered is our summer home so non simultaneous exchange is no problem, even preferred. We are also very flexible with the length of the exchange - from a couple of days up to couple of weeks. We can also offer exchange a large country house about 1 hour drive eastwards of Prague, Czech republic, located in a small rural community in between forests and fields. 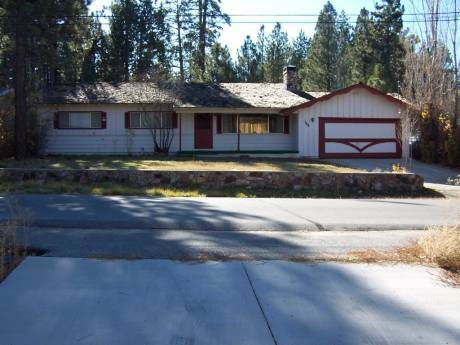 Both of these properties are available for an exchange as well. Please ask for details and pictures. We have done over 10 exchanges within the last 10 years and have always enjoyed very much - it is a great way to travel. We will take proper care of your home, same as we await from our guests. The house with 6 apartments is located in the quiet neighborhood of family houses and small apartment houses. Ideal for simple laid-off vacation at the beach. Clear water and clean beaches. No nightlife around. Nice walks at the pebbled beaches. Quiet bicycle tracks start directly from the house. Very popular is Crvene stjene beach - Red Wall beach - at the far end of the island with red-coloured ground and stones. There is lively market street in the centre of the island, a couple of lounges opened till late night, several restaurants, supermarkets etc. Fortunately, the centre is distant enough in order not to disturb you in our apartment. In summer there are concerts held in the Vir centre every Saturday night. 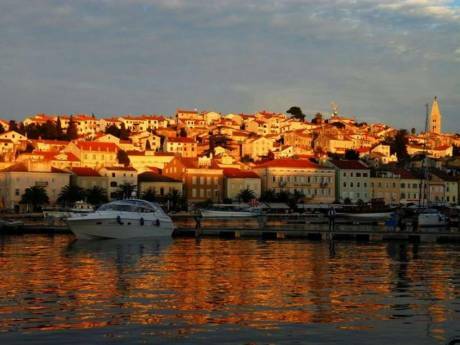 The nearby regional capital Zadar (30 minutes drive) offers Roman sites, medieval churches and Venetian Palaces, bustling market place with fish market that offers all kind of local foods and delicacies, busy cafes in tiny streets, restaurants, bars and lounges. Nearby small town called Nin founded by first Croatian kings is a historical place with Roman excavations and medieval church and houses. You can also visit the Salines of Nin with Salt museum. There are concerts and performances held in the great historical settings every other night during summer. Is about an hour drive from Vir offers one or more days trekking trips to the mountains, but also hiking and rock climbing as well as rafting for the more adventurous. With its beautiful waterfalls is also not very far and makes it a great one-day trip from Vir. Is a group of islands with unspoiled nature and crystal clear water that can be reached with day boat trips from Zadar. 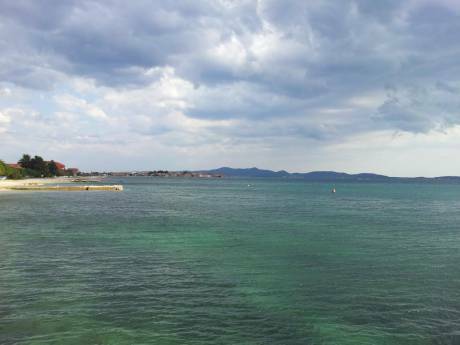 There is a number of travel agents in Zadar who offer these trips. Another boat trip directly from Vir is to the Sakarun beach at the Dugi otok island, about 10 miles out to the Adriatic from Vir. We have two places in Croatia, two condominiums in Costa Rica. Two houses in California.